In a recent post, we covered the importance of creating an onboarding system that delivers an exceptional client experience, while at the same time making life much easier for you and your team. Even if you’re ready to fully embrace a systems revision, your team may have some hesitation. Part of this is our natural worry about any kind of change. You may have been doing things a certain way for so long, your team is more comfortable with the status quo – even if change would make their workdays happier and more efficient. In many cases, you’ve handed off significant elements of your onboarding to team members, usually administrative tasks like document signing, payments, coursework collection, and data entry. Their own systems for these processes may have evolved over time into a method that “works for them,” and they aren’t necessarily thrilled to hear there is a much better way. Sometimes team members feel their roles may be threatened when they learn that some of their tasks will be automated. And often, they have a general concern about being able to quickly learn and understand the new systems and any new technology. All of these initial reactions are understandable, and easily overcome. 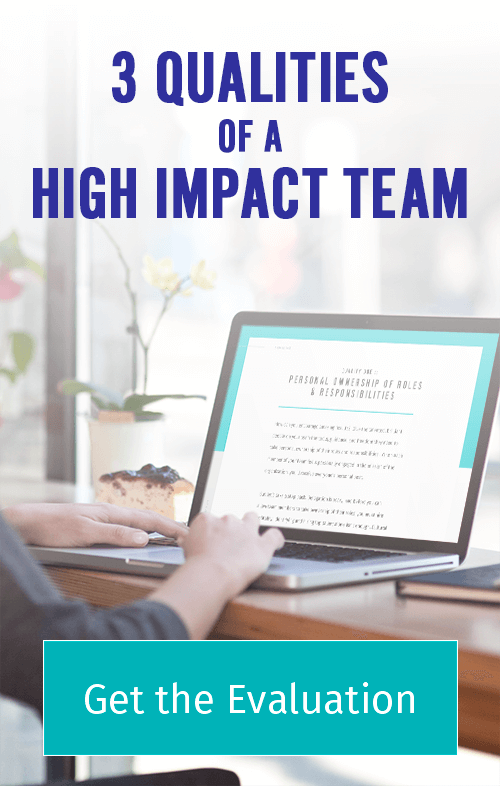 You’ve put a solid team behind you, and you know that they’re smart, adaptable, and dedicated to the success of your clients and your business. In my experience, all it takes to get them engaged in the change is to help them see the big picture of what’s happening, how quickly it can be done, and how easy it is to implement. Frame the change as an exciting step that will make everyone’s job more efficient, reduce stress, and deliver the best experience to your clients. Reassure your team that everyone will remain incredibly valuable – and in fact, with the time and energy you all save, you can finally turn toward some of the business-building activities that have been on the back burner such as new content creation and new course offerings. Let them know that they are fully supported throughout the training period and that everyone will be smoothly using the new systems within just a few months. Sometimes it helps to frame it as a series of small changes rather than one big overhaul. With everyone feeling more comfortable, you can get into the details of what will be systemized, and how. Your team members’ input will be especially valuable for the tasks that you no longer have a hand in; they’ll have a better understanding of the steps and details involved in each process, since they do them every day. Ask your team to make a detailed list of their individual onboarding responsibilities. They should be specific here. Instead of listing “client care,” list each element involved: Checking the team inbox, answering questions, payment and follow up, sending and processing feedback forms, and so on. From there, your team member can list all of the current steps involved for each process. For example, when she checks the team inbox, does she prioritize certain messages over others? Does she handle everything herself, or are there situations that require your input and attention? Does she have a set of templates for commonly-asked questions or does she find a similar past email and cut and paste from there? Do any of the messages require follow up, and if so, how does she note that? Does anything need to be entered into a client database or spreadsheet? Ask her to write down each step on a sticky note, and then place all the sticky notes, in order, on a flat surface like a table or a wall. You are now looking at your business’ current process for handling incoming client emails. Consider each step with your team member. Look for ways the process can be simplified, and whether anything can be automated. For example, if she’s currently keeping track of client follow-ups through a calendar alert, a separate folder she checks daily, or a written list, she could instead use a program like Boomerang, which automatically puts the email back to the top of the inbox on a day she specifies. It’s ok if neither of you are immediately aware of a particular tool that could make things easier. You can’t be expected to know of every single option available to you. Just ask yourselves the question, “Could this somehow be done more easily?” Spotting inefficiencies and laying out your dream scenario for how they could be resolved is all you need to do here. So if you didn’t know about Boomerang, you could simply note that your current system sometimes lets things fall through the cracks, and is there a better way to do it? Wouldn’t it be great if…? Complete this evaluation for each step of your onboarding process. At the end, you’ll have a full picture of what’s currently working well, what is redundant or inefficient, and what your ideal system would look like. It may sound like a lot of work to fully break down your process this way. It’s true that there is some effort involved in the front end here, but you’ll find it’s absolutely worth it. You and your team will end up with a clear view of all the moving parts of your process, and you’ll be excited about the possibilities for streamlining it to reclaim your time and relieve your stress. If you don’t yet want to revise your entire system, I would suggest first focusing on the elements that directly affect your clients. You’ll want to not only avoid basic issues, like forgetting to get back to someone – you’ll want to provide an experience that thrills your clients and shows them the superstar you are. Maybe you’ll discover that your process for sending invoices and receiving payments could lead to client frustration. Are there ever last-minute issues before the start of the mastermind, such as discovering that a client hasn’t paid yet? Do clients contact you asking if they can pay via PayPal instead of credit card? Do you sometimes forget to send receipts, leading the client to ask you for one? These problems can be easily and quickly resolved with an invoicing system that generates and automatically emails invoices, provides several payment method options, alerts you to payments made, and sends reminders and receipts to clients. When you’ve got your dream scenario laid out for some or all of your onboarding elements, the natural next questions are, How exactly do we streamline this? Do we need a new tool, and if so, which one? How can I make sure it’s the right tool for the job, and will continue to work as the business grows? Start by identifying a couple of must-have features for each tool, as well as a couple of nice-to-haves. For example, an online scheduler must have the ability to sync with your calendar, automatically convert time zones, and send reminders to clients. It would be nice to be able to customize the scheduling button into your own website branding. This will leave you with clear requirements, and make the process of finding the right tool much easier. If you’re streamlining your payment system, your team member can simply contact a few providers and ask, “Does your tool allow for bank transfers? Does it allow clients to store credit card numbers?” And so on. 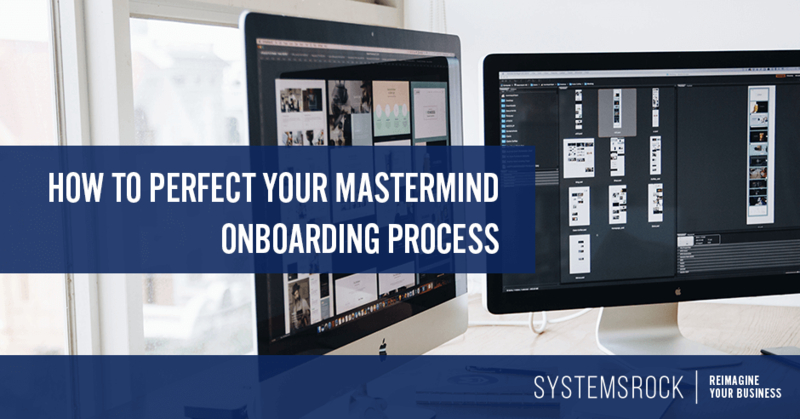 If you go through this evaluation of your onboarding system and find that you definitely need to make some changes but are feeling a little overwhelmed, I am here to help. Let me know your most urgent system gaps and the must-have features you need to solve them, and I’ll provide recommendations on the right tools for you and your team. I’m always happy to share some systems love!